As one of the four pillars of democracy – ‘Press Freedom’ was the real star of an evening where the Samoa Observer and the International Press Institute teamed up to premiere Steven Spielberg’s film, The Post, at Apollo Cinemas on Thursday. The movie centers around the character of the late Katharine Graham, the Publisher of the Washington Post during the 1970’s who oversaw its most famous period of the Watergate scandal that led to the resignation of President Richard Nixon. Her leadership at the Washington Post and her courageous decision during a turbulent time for Freedom of the Press earned her the I.P.I Press Freedom Hero award in 2000 along with Samoa Observer’s Editor in Chief, Gatoaitele Savea Sano Malifa. Before the movie began, moviegoers watched a special address from Executive Director of I.P.I, Barbara Trionfi. “With this in mind I salute the Samoa Observer, a long time member of I.P.I world community and a strong supporter of I.P.I core mission. In the movie based on real events in the life Washington Post’s Katharine Graham, the tough decisions and challenges that come with defending one of the pillars of democracy and keeping the doors of a business open were laid out for all to see. 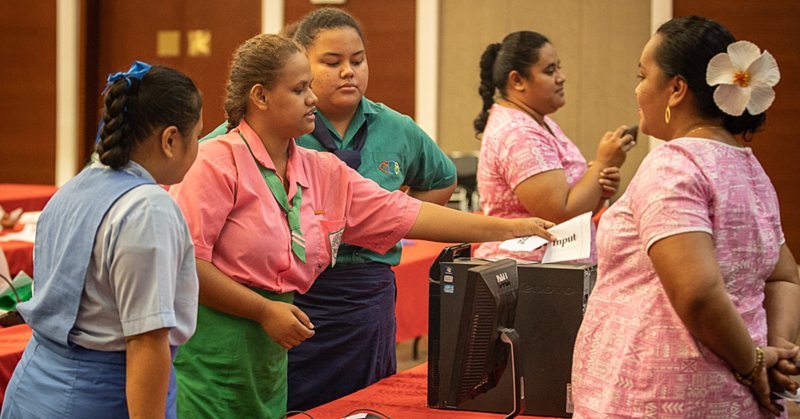 Those watching were given an insight on what happens in both a newsroom and a boardroom of a newspaper and one moviegoer could not help but draw comparisons between on screen characters and real life figures from Samoa’s daily newspaper. The movie received good reviews by the evening’s special guests. Among them was the Minister of Finance, Sili Epa Tuioti. “We all learn from these things,” he said. “I mean it’s entertaining but it’s also very informative. It’s important to make decisions that are good for the general good of the country. We don’t necessarily make such decisions but it’s also important to expect the media to report responsibly. 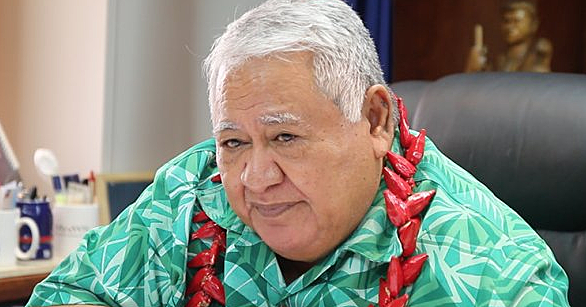 Commenting on the ongoing robust and sometimes volatile relationship between the government and the media, Sili said, “I think its important that we have separate roles and separate responsibilities. “Sometimes we tend to over defend and overprotect but we need to make sure that people understand what we are doing. We need to be more transparent and not be afraid to explain the decisions that we make, why we make them and for what reason. “There’s always reasons why decisions are made and unless it’s in the interest of national security, I think we need to be a lot more open and to communicate – our people would love to understand the background of how we make those decisions. The Chinese Ambassador, Wang Xuefeng and his wife Tong Xin also enjoyed the movie. “We learned some inside story of this very important event in the history of the Press and we are also very impressed by the performance of the two main actors,” Madame Xin said. 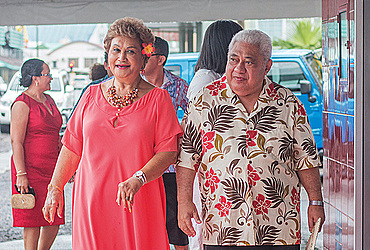 The Mayor of Apia, Tuiletufuga Siaosi and his wife Julian Siaosi also weighed in, feeling inspired after the movie and the role of Press freedom in Samoa especially in light of the reinstatement of the Criminal Libel Act. “I don’t know why the bloody government is trying to stop you guys from doing your job,” Tuiletufuga said. Mrs. Siaosi enjoyed the film and encouraged others to watch it. “Overall they spoke their mind on this issue, well done and well-acted – I enjoyed the movie very much,” she said.